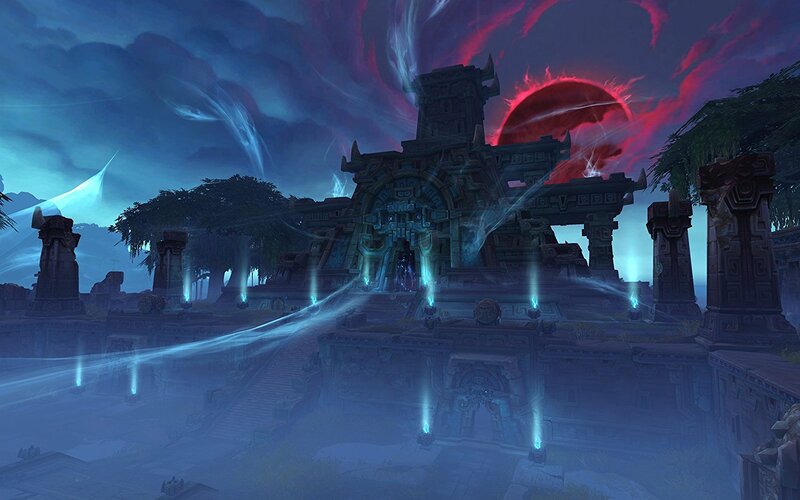 The Burning Legion was defeated, but Azeroth paid a terrible price to end its apocalyptic march. And while the world's wounds are tended, it is the shattered trust between the Alliance and Horde that may prove the hardest to mend. In Battle for Azeroth, the fall of the Burning Legion sets off a series of disastrous incidents that reignites the conflict at the heart of the Warcraft saga. As a new age of warfare begins, Azeroth's heroes must set out on a journey to recruit new allies, race to claim the world's mightiest resources, and fight on several fronts to determine whether the Horde or Alliance will lead Azeroth into its uncertain future. New kingdoms to discover - As a champion of the Horde, travel to the empire of Zandalar and pursuade the trolls to aid their naval might to the Horde. As a defender of the Alliance, venture to the seafaring kingdom of Kul Tiras, home of Jaina Proudmoore, and rally its inhabitants to fight for your cause. New races - Heroes of the Horde can enlist the Highmountain Tauren and Nightborne, and champions of the Alliance can add the Lightforged Draenei and Void Elves to their ranks. New Level cap - Quest through 10 new levels to level 120! Plunder the Islands of the Great Sea - Set out on Island Expeditions and conquer an ever-changing array of enemies, environments, and objectives. Instant-boost your character to level 110 - players will get one instant boost with the activation of the expansion - Enter the raging conflict between the Horde and the Alliance prepared to survive on the front lines of a vicious new war. 1. Go to https://eu.battle.net/account/ (or your own version of Battle.net) and log in. 3. Download the game client and enjoy. рекомендую продавца,всегда поможет решить проблемы .